The Catholic Jedi Academy: Christ's Resurrection: About Magdalene, The Holy Eucharist, And Us. Christ's Resurrection: About Magdalene, The Holy Eucharist, And Us. 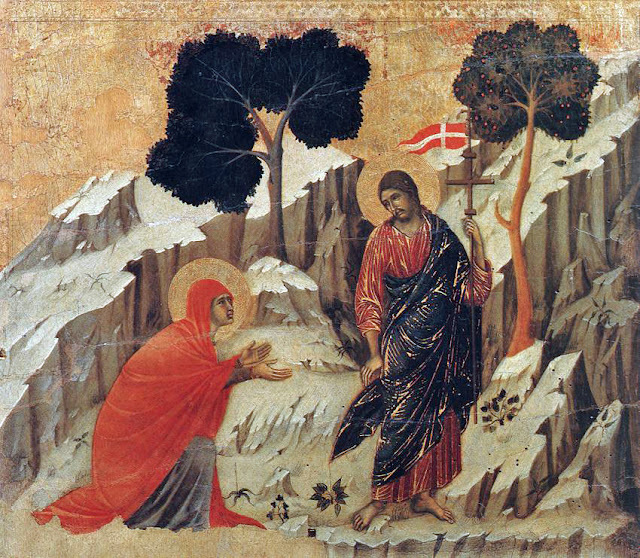 On the morning of Our Lord's Resurrection, Easter morning, Mary Magdalene was in the depth of sadness. The Lord Jesus had become the center of her life, and now He was dead. Mary could not know how mistaken she was in looking for The Master among the dead. The great truth of the Resurrection had not as yet become part of her faith to dispel her sadness. And so, with her vision still darkened by gloom, she failed to recognize Her Master, Jesus, standing right in front of her. She needed to hear only a word from Him, and her mind was flooded with the light of faith. She realized that she was in the presence of the Risen Lord. What happened to Mary Magdalene should be happening to each of us. The meaning of our lives is to search for and to find the Risen Lord Jesus, because He is the source of all life and happiness. At times, we make the mistake of looking for happiness among sinful pleasures -- which can only bring death. Perhaps we make the mistake of thinking that life can come from temporary values, such as financial success or social status. 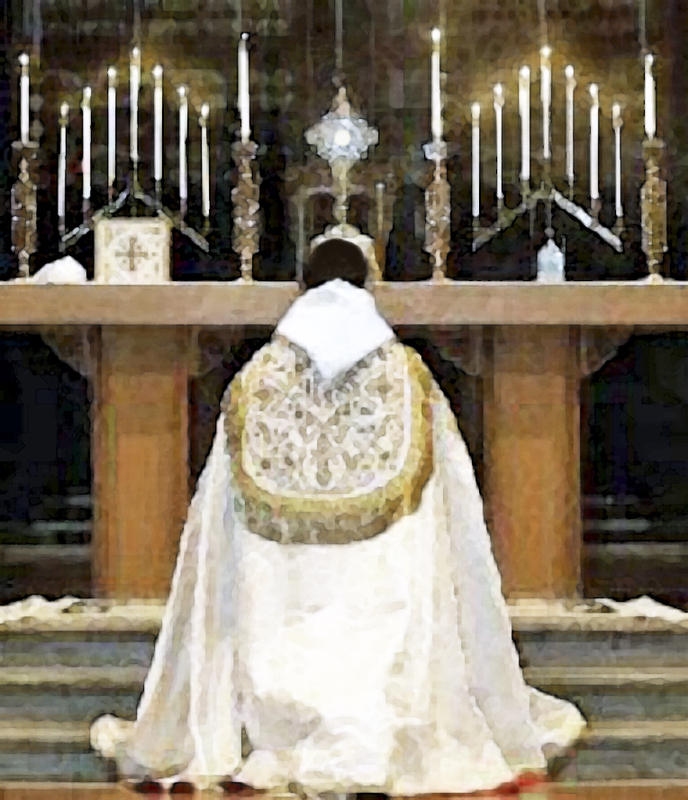 In a privileged way, you and I find Our Risen Lord Jesus in the Sacrament of The Holy Eucharist. We hear His words, "This is My Body ... this is My Blood." Those words are intended to flood our minds with the light of faith, so that we can believe that -- by means of the Holy Eucharist -- we are in the presence of the Risen Lord. The Holy Eucharist is the very heart of our Faith. 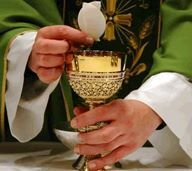 The Eucharist is the Sacrament which gives us the Real Body, Blood, Soul and Divinity of Jesus, the Son of God. Our Risen Lord Jesus present in the Eucharist does much more than merely stand before us. He invites us, urges us, to take Him into our beings so that He can give us the gift of everlasting life and eternal happiness.